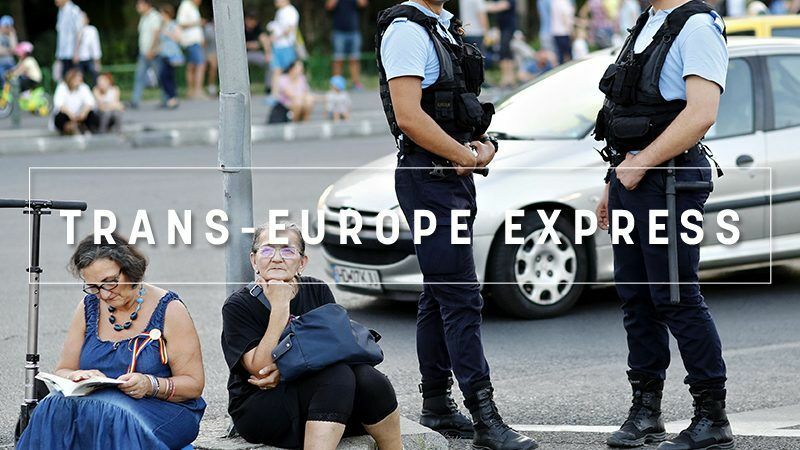 The Trans-Europe Express is EURACTIV's weekly roundup of news from across Europe. Romania’s governing coalition is pressing on with plans to bring the judiciary under control, despite the massive protests just a few weeks ago. And leaders of the ruling parties got an unexpected helper from Washington. While the US administration’s official stance is that of support for the anti-corruption legislation in Romania and the country’s prosecutors, a letter from Rudolph Giuliani, addressed to the country’s president Klaus Iohannis, criticised the probes carried by the anti-corruption directorate, or DNA. Giuliani, a former long-time mayor of New York turned a private lawyer for US President Donald Trump, has since said he had received money to send that letter and did not inform the President of his manoeuvre. Calin Popescu Tariceanu, the chairman of Romania’s Senate and head of PSD’s junior partner ALDE, said Giuliani’s acknowledgement that the letter was a paid engagement does not cancel the essence of the message, which is the abuses made by prosecutors and secret service agents when probing corruption. Leaders of the ruling parties suggested that Giuliani would not have written that message without making a thorough assessment based on his solid experience as a prosecutor and lawyer in the USA. But Trump’s lawyer said he had based the letter on a report made by former FBI director Louis Freeh, who runs a global consulting firm called Freeh Group International Solutions. It is Freeh who is paying Giuliani’s fee. And Freeh is also representing Romanian citizens convicted for corruption. Actually, many elected officials who were prosecuted by DNA are members of the PSD and ALDE, and the government has been trying since January 2017 to soften the corruption legislation, while trying to assert more control over the judiciary. While the first attempt to decriminalise some corruption offences, such as the abuse of office, in January 2017, led to the largest protests in the country since the 1989 anti-communist revolution, Parliament has in recent months passed legislation that reduces the judiciary’s independence, according to experts and European Commission officials. Moreover, the justice minister started a procedure that ultimately led to the dismissal of the DNA chief prosecutor, Laura Codruta Kovesi, who was hailed by many as Romania’s anti-corruption hero. The naming of Kovesi’s successor has been delayed, as minister Tudorel Toader rejected all four applicants and called for a new procedure. This time, six prosecutors applied for the top position in the anti-corruption directorate and the winner could be announced next week. But Toader has turned on the country’s chief prosecutor, who has repeatedly criticised the legislation changes and recently took over the enquiry of special forces’ violence during the protests earlier this month. Over 100,000 people took the streets of Bucharest on 10 August to protest peacefully against the government’s alleged incompetence and its crackdown on the judiciary, but riot police used tear gas and water cannons, displaying a level of brutality not seen at previous mass protests. The European Union and the United States both condemned the plans to weaken the judiciary’s independence and lauded the progress made in previous years by Romania in the anti-graft battle, but a singular voice from Washington might derail this consensus just a few months before Romania takes over the Presidency of the EU Council. Environment Minister Nicolas Hulot announced his resignation in a live tv broadcast, complaining of heavy lobbying against a more ambitious environmental policy. Theresa May finished a tour of three African countries, hoping to persuade them to continue trading with the UK on the same terms after Brexit. But it was her dance moves, rather than negotiating skills, that went viral. Panasonic Corp is to move its European headquarters from London to Amsterdam in October to avoid potential tax issues linked to Brexit. A bus crash in Bulgaria led to the sacking of three government ministers on Friday (31 August). From September, the skies over the Baltic Sea will be patrolled by Belgian and German jets, amid growing security concerns and increased activity by Russia. Visegrad group countries are happy that the EU’s view on migration are increasingly compatible with their own. But political changes in Austria and Italy have also helped. EU border guards have turned to interviewing migrants arriving in Europe to gather “valuable” information to fight against the smugglers and human traffickers. Poland may ignore the ruling of the EU’s top court about its judiciary reform, continuing its row with Brussels over the rule of law. Tensions are rising again between Catalonia and Madrid ahead of the start of the new political year and the key budget vote. Serbia and Kosovo may discuss a land swap to settle their dispute and the Commission seems to be on board, with a caveat that this should not serve as a blueprint for other disputes.